AwesomeDoodle. From Our Home to Yours. We’re Putting Smiles on Faces. The Best AussieDoodle puppies come with lifetime support. AwesomeDoodle AussieDoodles are the best you can get. We raise every AussiePoo puppy in our homes, right under our feet (not in a kennel). 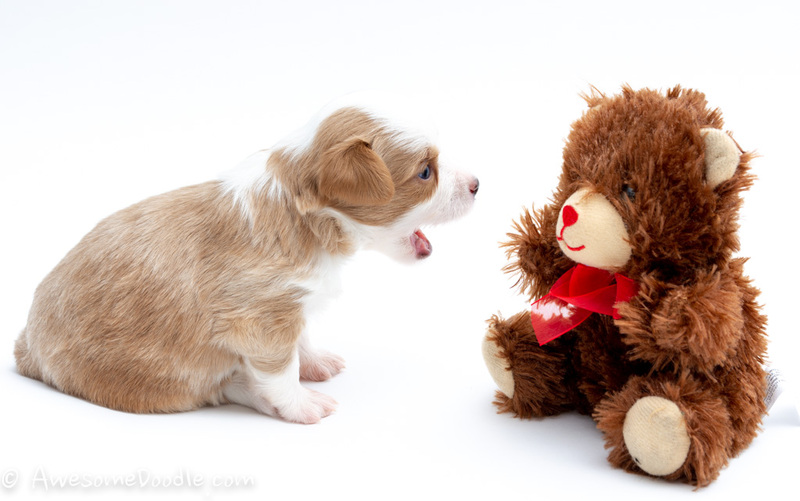 We socialize your puppy to all the normal day to day household sounds, sights, and smells. 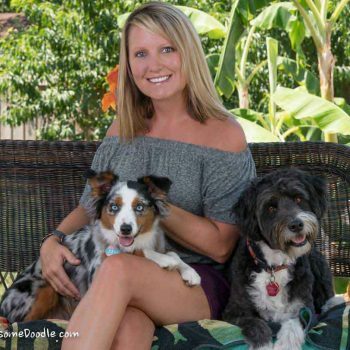 Only AwesomeDoodle offers a LIFETIME SUPPORT system for your dog, as a result, you can be assured we will be there to help you with your Aussie Poo for years to come. 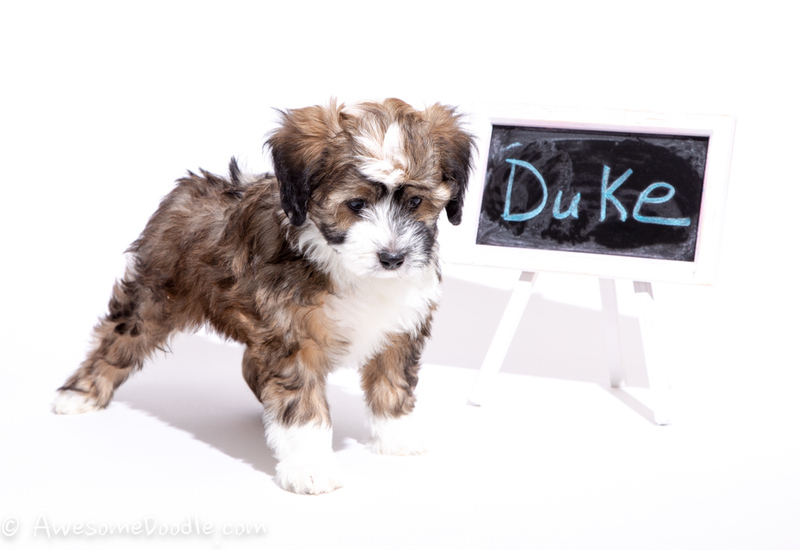 Were you were searching for a GoldenDoodle or LabraDoodle puppy, and you found our website? 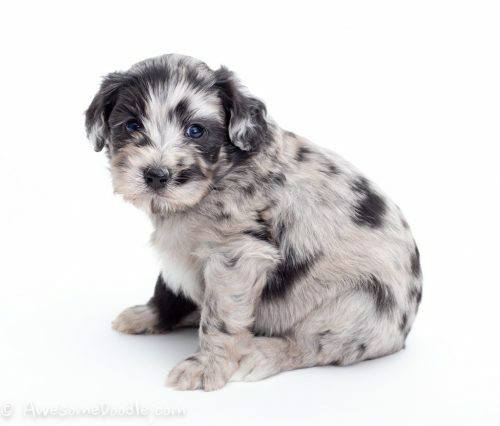 Let us introduce you to the AussieDoodle. While other Doodles are great too, the Aussie Doodle (Aussie X Poodle) is the smartest and most loyal to their owners, not to mention, a cuteness explosion. AussieDoodle Experts; two year Health Guarantee. 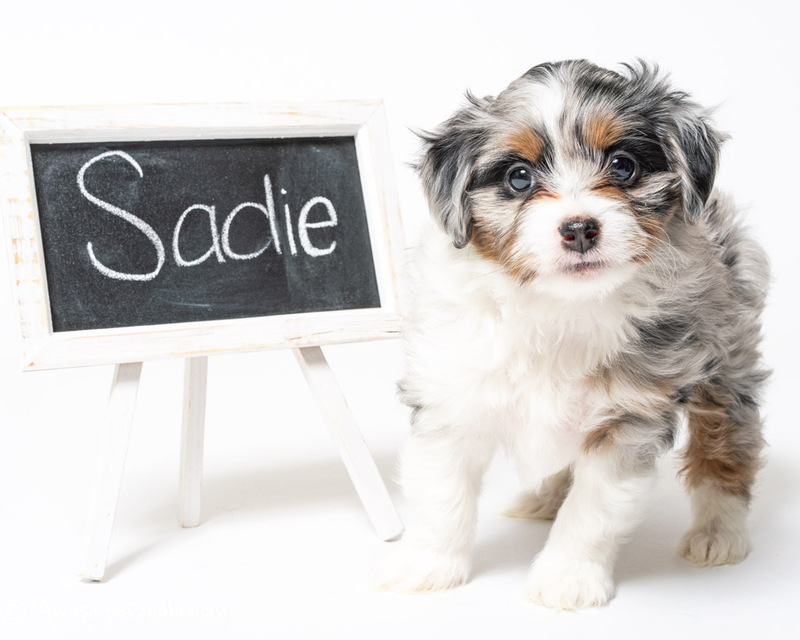 Here’s why we think we are one of the best Aussie Doodle Breeders and why we think we have the best Mini AussieDoodle puppies. Only the most affectionate and healthy dogs will qualify to become a mommy or daddy. 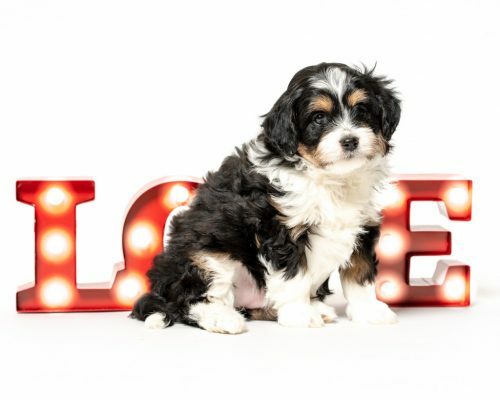 Our group of families combine 30 years of experience to ensure your puppy is being raised in the very best environment, with the very best care possible. Our sires and dams are our pets, and they are checked for genetic health issues at PawPrint Genetics and also evaluated for hip and joint health. This will give you assurance to know you are getting a healthy Aussie Doodle Puppy for many years to come. Why should I get my AussieDoodle puppy from AwesomeDoodle? Our dogs live in our homes (not in a kennel), lounge on our sofas, and exercise with us daily. 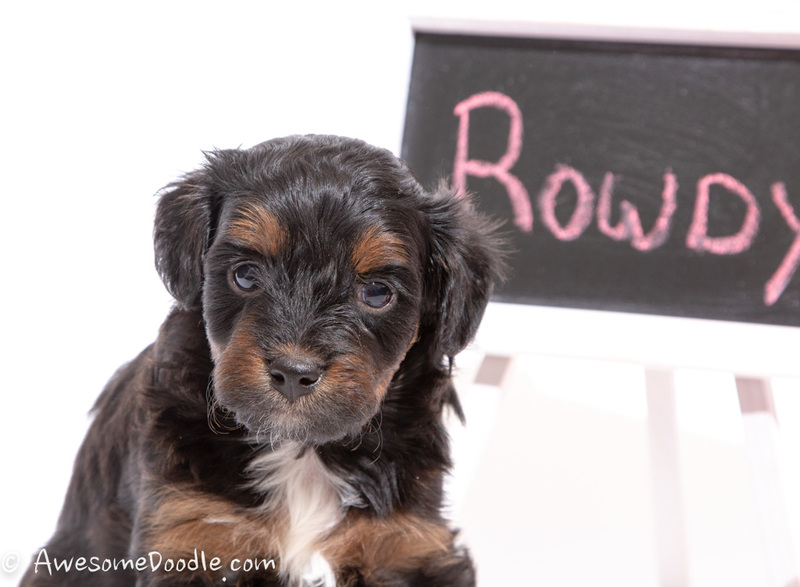 Only AwesomeDoodle, raises their AussieDoodle puppies in such an enriching and socializing environment. Therefore, your puppy will already be on it’s way to a happy, well mannered, dog. 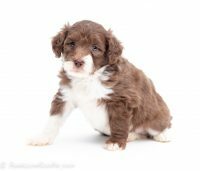 Once you pick your Aussie Doodle Puppy, you’ll get weekly quality photos and videos. Most importantly, you’ll be able to watch it 24 hours a day on our puppy cams. We have all colors and sizes of AussieDoodles. We deliver Toy, Mini, and Standard size AussieDoodles all over the United States. Therefore, you can get your own AussieDoodle Puppy, no matter where you live. We answer your AussieDoodle puppy inquiries. We let you pick your perfect puppy that fits your family. 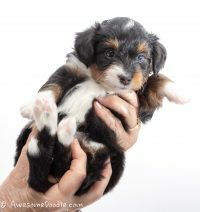 We help prepare you and your home for your new little Aussie Doodle Puppy. We coach you to train, shape and socialize your new Furry Family member. And we’re here to support you for the lifetime of your puppy. Tom’s “Mom and Pop” basic recipe for raising puppies hasn’t changed since 2012. 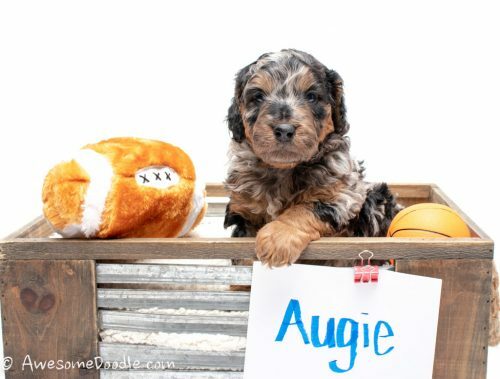 He develops the strict policies and procedures for raising AussieDoodle Puppies. Tom also raises a couple litters a year. When it’s time for your AussieDoodle puppy to come home, Erin will be there with you every step of the way, to make sure your puppy gets home safely. Erin also raises a litter or two per year. What size puppy are you looking for? What color do you want? Jaci helps you pick the puppy of your dreams. There’s no describing the feeling when you get that txt from Jaci, and you get to pick the puppy YOU want. Brittany works around the clock to handle all your inquires about AwesomeDoodle. 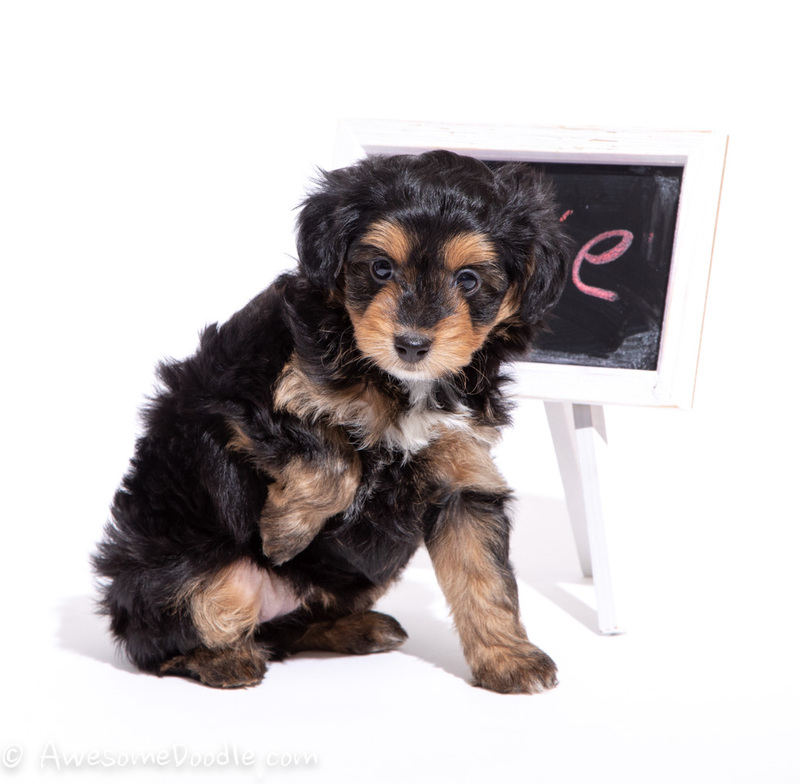 She’ll help you make decisions if AwesomeDoodle is right for you, and she’ll make sure you know what you’re getting into with a new AussieDoodle Puppy. 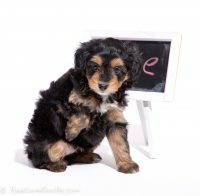 Want to see how and where your AussieDoodle puppy is being raised? 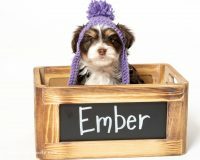 Would you like a puppy that has an excellent start with socializing, training, and human touch? 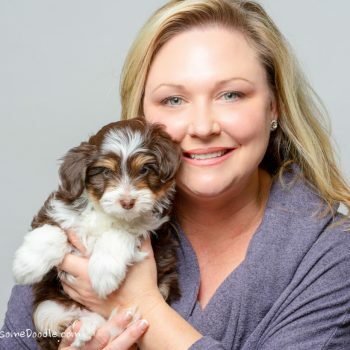 Only AwesomeDoodle has a lifetime support policy with our dedicated puppy coach, so you can get behavior and training advice, for the lifetime of your new best friend. While we only raise the most healthy pups from health tested moms, plus you’re protected by our 2 year health guarantee.